There’s been much discussion in the media over the hailstorm created from “Dad Bod”. 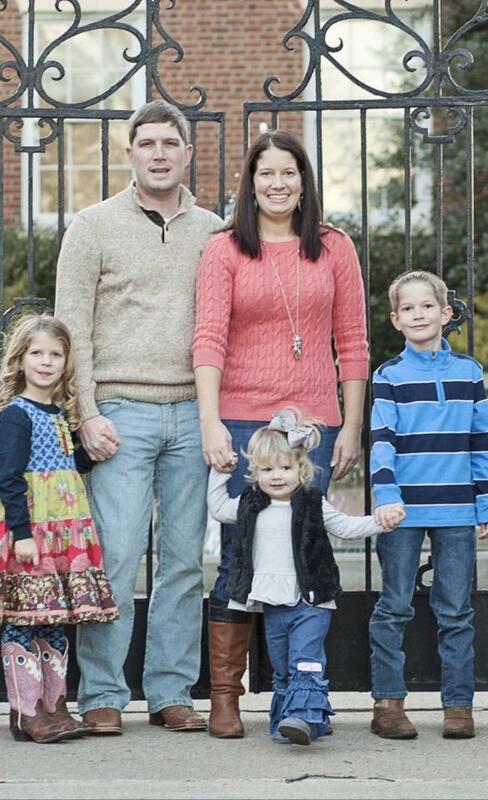 Today, we want to share a “Mom Bod” success story from one Southern lady about how she got her body back after birthing three babies in seven years. All mothers know how hard it is to shed the baby weight, especially if you’re starting a big family. Dana Griffin Tamasi is a native of Loganville, Ga., and after graduating from the University of Georgia, she immediately started her family. 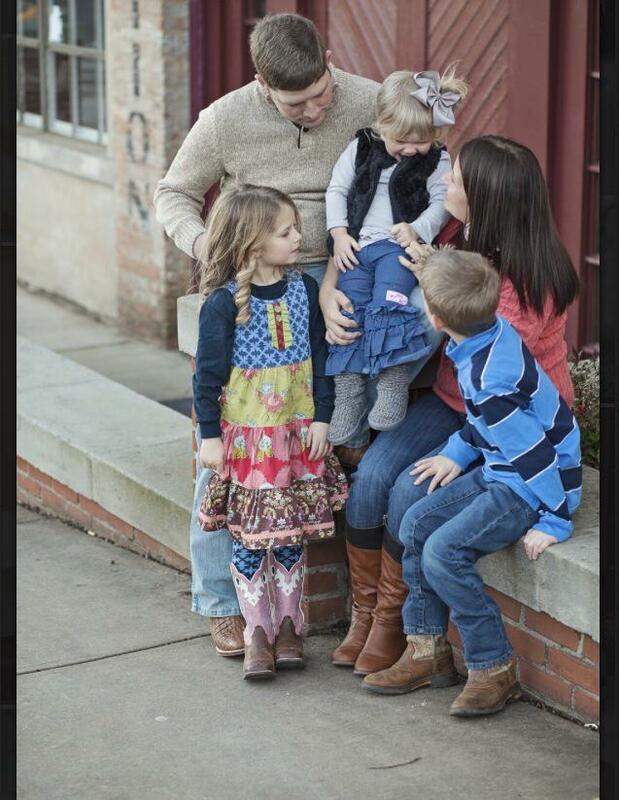 Her kids include 7 year-old son, Tripp, and two girls: 5 year-old Paisleigh and 2-year old Tinsley. In addition to being a mom to three small children, Dana also works full time as a school teacher. All the working mamas out there know that time for the gym doesn’t exist with a packed schedule, and Mama Dana was kind enough to share a few secrets of her success. What was your body like before Baby # 1? Before Tripp, I could eat whatever I wanted, drink on the weekends, and not gain weight with little or no exercise. I was between 125-130 lbs. How did it change after Babies #2 and #3? After Paisleigh, I never lost all the weight I had gained before I got pregnant with Tinsley. Once I got pregnant with her, I gained weight faster and I got up to 190 lbs. When I left the hospital I was in the 180s and I really thought the weight would come off. I tried walking because I could push my girls in a stroller while Tripp rode his bike. Unfortunately only a few pounds came off and I quickly lost motivation to keep going. What motivated you to get started with your weight loss program? I finally hit a turning point when I’d had enough feeling depressed about my weight every time I looked in the mirror. I was trying to fake the way I felt about myself. I am a happy person most of the time and I felt like I was constantly pretending because inside I was not happy. I also LOVE pictures and I take pictures of my kids every chance I get, but I HATED pictures with me in them. Every time I saw a picture of myself, I was reminded how unhappy I was and I refused to buy the pictures or hang them up in the house. I desperately wanted to take family pictures with the five of us and be proud of them. One day while on Facebook I saw a post about how a girl I knew from UGA and how she went from 164 lbs to 128 lbs in eight months. I decided if she did it then maybe I could too, so I messaged her. She told me about a challenge group she was running and about Shakeology. I ordered a sample pack of shakes and joined the group. How did you kick off your training? I began my journey in a 10-day slim down group and sampled Shakeology. Shakeology is Beachbody’s superfood shake. Their slogan “It is your healthiest meal of the day” is absolutely true. I vowed that during those 10 days to exercise for at least 30 minutes a day, sleep at least seven hours, drink at least 64 oz of water and drink one shake every day. I lost 4 lbs in those 10 days and felt energized throughout the day. What exercises, shakes, supplements, social media, etc. really helped you on this quest? The first Beachbody product I bought was T-25 and Shakeology. T-25 is a 10-week program with a Alpha cycle and a Beta cycle. I completed T-25 in 10 weeks and lost 16 lbs. Since then I have done PiYO, and have done a 21 Day Fix. I do not think I would have stayed motivated and accountable to my workouts and nutrition without the online Challenge groups through Facebook. A “Mom Bod” Success Story! I have learned that the most important part of weight loss is nutrition. The nutrition aspect is what had been missing after Baby #2 and #3. The groups keep me accountable with my food because I post pictures of what I am eating for each meal in a group. It really makes you think before you eat. You lost 30 pounds in 2014! What are your weight loss goals for 2015? I would love to lose 12 to 15 lbs in 2015 and tone up. I am trying to get definition in my arms and a slim tummy wouldn’t hurt. However we are throwing around the idea of Baby #4. Between being a mommy to three kids and working full time, how do you find the 30 minutes each day for training? I get off at 3 pm and pick up my older two kids at 3:30 pm. I try to fit my workout in at 3:45-4:30 pm and then go get my baby. My older two kids can entertain themselves for 30 minutes, but I can’t workout with my littlest one. I can also squeeze in a workout at 7:30 pm after my baby is in bed if I don’t get it in in the afternoon. I have realized over the year that I watch way less TV because I just don’t have time! Once I started working out and making it a daily habit, I just feel better after it’s over. I feel guilty when I don’t get a workout in. However, there are busy days it just doesn’t happen but I pick back up the next day. My rule is never go more than two days without exercising because then you might begin to talk yourself out of it! I find working out in the weekend harder sometimes especially when we are super busy but most of the time those are the days I like to run because my husband is home to watch the kids for an hour or so. Training to run takes more time than 30 minutes but I use this time for ME! Before I never really did anything for just for me after having kids! Running refreshes me and helps me clear my mind, challenge myself and the come back home ready to be the best mom and wife I can! My hubby had hunting and I now have running!The online Facebook Challenge groups have been monumental in helping me achieve my goals. I equate it to having friends or a trainer at the gym without leaving the house. The groups give you a coach or coaches that give you nutrition tips through recipes and menus, workouts and workout tips, motivational posts and quotes to keep you going and pick you up when you feel like giving up or eating that whole pizza! Even the challengers get involved and get to know each other and begin to comment and offer support to each other! Like I said the groups are all about accountability and motivation!